Finding the best location for your business can be one of the keys to success. When conducting a search, there are several important factors to consider. Some are straightforward, like when the rent on a space is more than you can afford. Others, however, are more nuanced, such as community demographics, traffic patterns and taxes and regulations. Fortunately, a diligent commercial real estate broker studies these trends and can match your business to a location that will help it to thrive. Is there a large enough population to support your type of business? Is the economy stable so your business can grow? Are incomes high enough to afford your products or services? Then you can get down to specifics. You’ll need to know if your target customers live or work in the area. Your broker can provide a market analysis to determine this. You may also want to visit the website census.gov. Here, the United States Census Bureau provides helpful data on population, education, housing, business, employment and more within a specific area. The type of business you have will dictate the traffic you’re looking for. 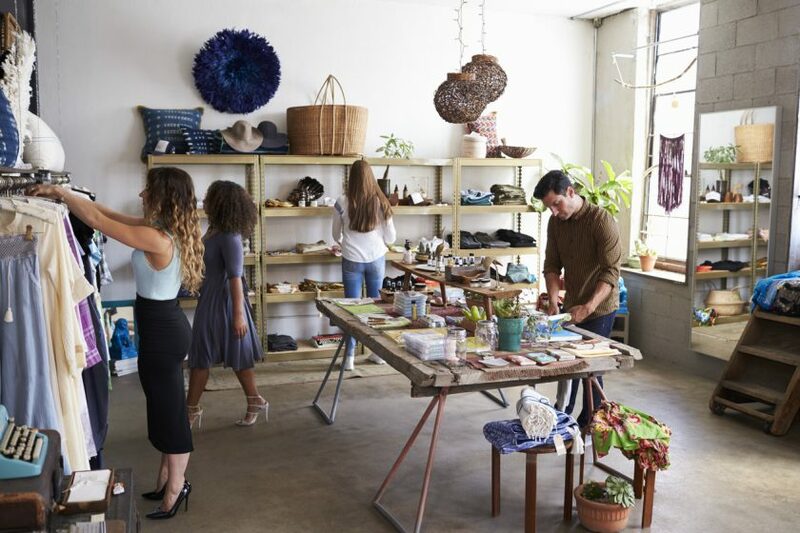 For example, if you’re opening a retail store then it’s best to choose a location that offers high visibility, good street traffic and convenience for foot traffic that includes close parking. In addition to the traffic counts your broker provides, you should watch vehicular and foot traffic for yourself at different times of day during the week. Also, market research has proven that a store located on the “going home” side of a street will do better than one on the “going to work” side. Drivers are more apt to shop when driving home instead of when they need to get to work on time. There is an exception to this rule. If you’re opening a donut shop or convenience store, then it’s best to be on that going to work side, so drivers can easily get in, get out and continue on their commute. On the other hand, if you have a service business then vehicular traffic isn’t as important. In fact, your employees may appreciate a convenient location that is a bit off the beaten path if that will cut commute time. You still need to make sure there is adequate parking for employees as well as clients and that vendors and suppliers can easily find you. Your business location determines the taxes you’ll have to pay and the regulations you need to follow. Both of these can have a big impact on the bottom line. That taxes affect earnings is no surprise. However, there are also codes that can have an indirect influence. Take parking codes, for example. A fitness center in one city may require a parking space for every 200 square feet, while a neighboring city’s code stipulates one space per 100 square feet. More parking spaces mean more land, which affects the landlord’s costs. Naturally, those costs are passed along to renters like you. Similarly, zoning regulations can be very strict within a city. Before signing a commercial lease, make sure the city permits the type of business you have in the location you’re considering! Obviously, where you choose to locate a business affects your total operating expenses. Rent on a busy street in an attractive power center is likely to be more expensive than in a strip mall serving a defined residential area. But here’s an interesting fact: market research shows that there is an inverse correlation between rent and advertising expenses. In other words, if you choose to pay higher rent for a busy location, then you may not need to spend as much on advertising. Alternatively, if you elect to pay lower rent for a location with less traffic, then you may need to increase advertising dollars to attract customers. There is certainly much to consider when you are selecting the best location for your business. A commercial real estate broker who knows a city well can be an invaluable source of help and information.